A luxurious hotel on the tropical island of Zanzibar. Here you will experience the maximum of privacy in villas placed in a divine garden. 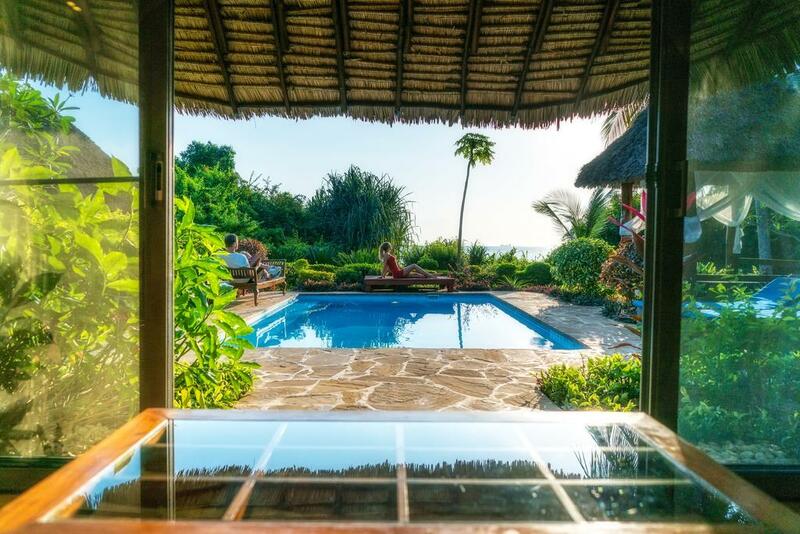 Zanzi Resort possesses seven luxurious ocean-view villas and six African Eco garden-view bungalows, all of them lavishly equipped, and located on a 6 hectares area. 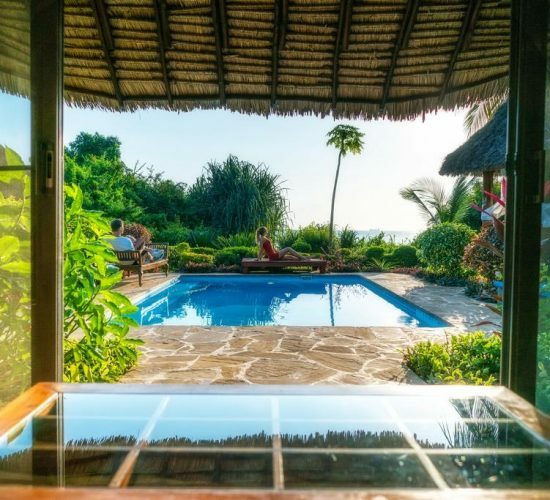 This guarantees that our guests will have the utmost privacy as they delight in all of the sights, sounds and serenity of beautiful Zanzibar. Besides accommodation in unique villas guests can also use excellent restaurant, small but private hotel’s beach, amazing jetty, big swimming pool and Relax Area with open-air gym, Ganbanyoku bed and massages. The ZanziResort gives you a taste of paradise. Calm serenity, delicious food, perfect attention to detail, attentive and welcoming staff. A cozy atmosphere with old fashion safari elegance.